Download a full copy of this paper from SSRN. What’s new or different in these comments? Our 2015 comments also argue that these exemptions should be extended to include additional devices and technologies. We argue that jailbreaking should apply to tablets just as it does to smartphones (as we did in 2012), and that bypassing anti-circumvention technology should include non-DVD sources, such as Blu-ray discs and online sources. Our 2015 comments on anti-circumvention also provide direct evidence of filmmakers that depend on the ability to bypass anti-circumvention technology. In addition to supporting specific classes of exemptions with direct evidence from clients we serve, New Media Rights also encourages the Copyright Office to explore ways to ensure broader exemption of all otherwise lawful activities. One thing remains constant in the DMCA Anti-Circumvention exemption proceedings: an enormous output of time and energy by legal clinics, nonprofits, and others every three years in pursuit of broad range of worthy, but narrow exemptions. The commonality in the arguments made for the exemptions is that the circumvention should be exempted from violating federal law under the Anti-Circumvention provisions because the uses targeted are not otherwise unlawful. We maintain that an elegant way to improve the provisions, and allow otherwise lawful uses without requiring such a tremendous use of resources, is to simply exempt all uses that are otherwise lawful. Specifically, if a use is deemed a fair use, anti-circumvention should simply not be applicable to the use, and should not be available as a cause of action. 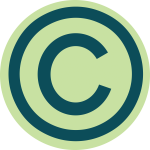 NMR requests that the Copyright Office look systematically to find ways, either through regulation or proposed legislation, to provide broad exemptions to the anti-circumvention provisions that protect otherwise lawful uses of content such as uses made in fair use. An exemption or exception that allowed for circumvention of technological protection measures (TPMs) for any reuse that falls under fair use would be very efficient because there would be a stable rule of law that does not change every three years. Such a broader exemption would also provide certainty because people would know that they could circumvent TPMs for reuse as long as their reuse constituted fair use; those people would not have to determine if they were included in one of many narrow classes of exemptions. Video creators, for example, would know that circumvention of TPMs is legal as long as the resulting video falls under fair use. Video creators would not have to wait three years to determine whether certain activity is legal, and whether their particular use is the type excused by narrow exemptions. Instead, they would know what type of conduct is permitted, and permitted conduct would not be subject to change over time. As long as one circumvents TPMs for a noninfringing purpose, such as fair use, the circumvention should be legal. A broader exemption would ensure that anti-circumvention don’t needlessly include people who have otherwise not violated the law. The proposed specific exemptions provide a safety valve for otherwise lawful behavior by consumers and creators. Specifically, NMR’s comments relate to Proposed Classes 6, 7, 16, and 17 as requested by the Electronic Frontier Foundation and the International Documentary Association, respectively. Proposed Class 6 would allow circumvention of encryption technology on DVDs and Blu-ray discs, as well as technology that shields content on online sources. This exemption is important so that documentary filmmakers can bypass anti-circumvention technology to access high quality content for fair use purposes. Our comment argues that these filmmakers should not be excluded from the exemption simply because they profit from their work. Our comment includes the stories of filmmakers who represent a wide array of social and cultural commentary that this exemption would protect. Proposed Class 7 would allow circumvention of encryption technology on DVDs and Blu-ray discs, as well as technology that shields content on online sources. This exemption is meant to allow creators, remixers, and vidders the ability to bypass DVD encryption technology to obtain high quality footage for the videos they create. The exemption only extends to creators who engage in fair use and thus allows those creators to defend themselves under fair use. Our comment includes the stories of creators who represent the wide array of social, political, and cultural commentary that this exemption would protect. Proposed Class 16 would renew the exemption for jailbreaking smartphones. Jailbreaking is essential to ensure competition and innovation. Jailbreaking also provides a safety valve to censorship by OS makers, wireless carriers, and device manufacturers who use their power to control what apps the public can access. Jailbreaking also allows consumers to customize their smartphones and address security and privacy concerns without having to wait for the OS maker to provide relief. Proposed Class 17 would extend Class 16’s exemption to tablets. As addressed above, Jailbreaking is useful to consumers, and ensures competition and innovation. Our comment focuses on the similarities between smartphones and tablets. We provide evidence that shows that smartphones and tablets are converging to the point where they are aesthetically and functionally indistinguishable. We therefore argue that due to the similarities between smartphones and tablets, the exemption should be extended to tablets as well as smartphones.